The Berkshire Hathaway HomeServices Caliber Realty Commercial Division has a rich 40 plus years history of providing dedicated and expert professional services to both sellers and buyers in both Bryan- College Station and the surrounding areas. Office Space: For sale or lease we can assist. From leasing a single room in an office suite to purchasing a free standing office building with land in a high traffic area, we know how to make it work for you. Property Development: With many years of experience in developing some major subdivisions in the area, our team can help turn your raw acreage into a profitable residential or commercial subdivision. Industrial and Warehouse Locations: Whether for storage, manufacturing, or sales facilities, Berkshire Hathaway HomeServices Caliber Realty have the know how and tools to help you market and sell your unique property. We can also assist buyers with the purchase or lease of the property that fits their companies needs. Investment and Equity Growth: If your are seeking to build your retirement nest egg, nothing beats the king of investments, “ Real Estate.” We can assist buyers in locating, analyzing, purchasing , leasing, and closing on multifamily, single family , land or commercial property investments. If you desire to sell or lease commercial properties you can depend on us to help achieve your goals successfully. Commercial Property Leasing and Management: The Berkshire Hathaway HomeServices Caliber Realty commercial has years of experience in leasing and managing commercial property for owners. 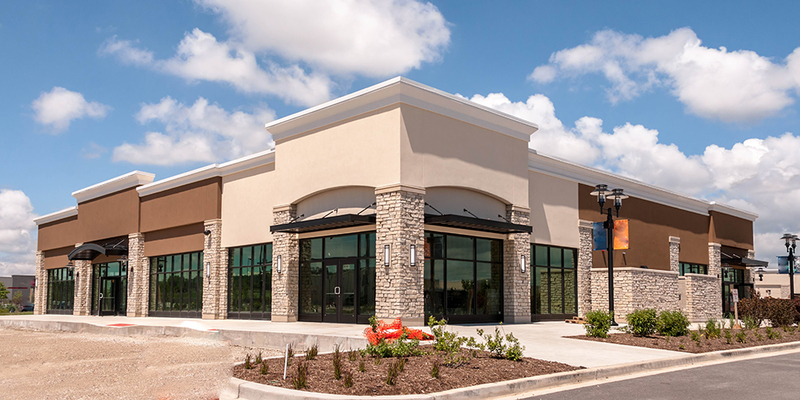 We can customize a program for your particular needs or help you in just obtaining a one-time commercial tenant. Commercial HOA Management: Berkshire Hathaway HomeServices Caliber Realty has years of experience managing associations. Should the need arise, we can assist. Consultation: Berkshire Hathaway HomeServices Caliber Realty knows that commercial real estate can be complicated. Working with city, county, state and federal governmental regulations can be tiresome and frustrating at times. Locating commercial financing can likewise be cumbersome. We are capable and focused on addressing the problems that may arise. We are also versed in assisting locating the right entities and solutions, and providing the footwork necessary to resolve any potential issues. Whatever your particular commercial real estate needs may be, Berkshire Hathaway HomeServices Caliber Realty can help make your experience a great one!